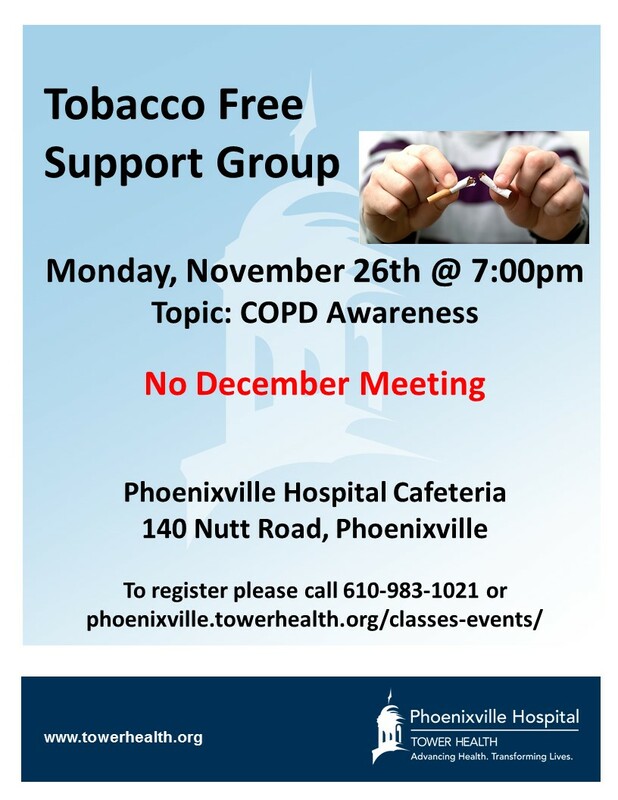 Phoenixville Hospital Tower Health Tobacco Dependency Treatment Program offers monthly Tobacco Free Support on the 4th Monday of each month. Support is offered to those thinking , desiring, or currently tobacco free. Monthly health topics incorporated into group driven discussion.